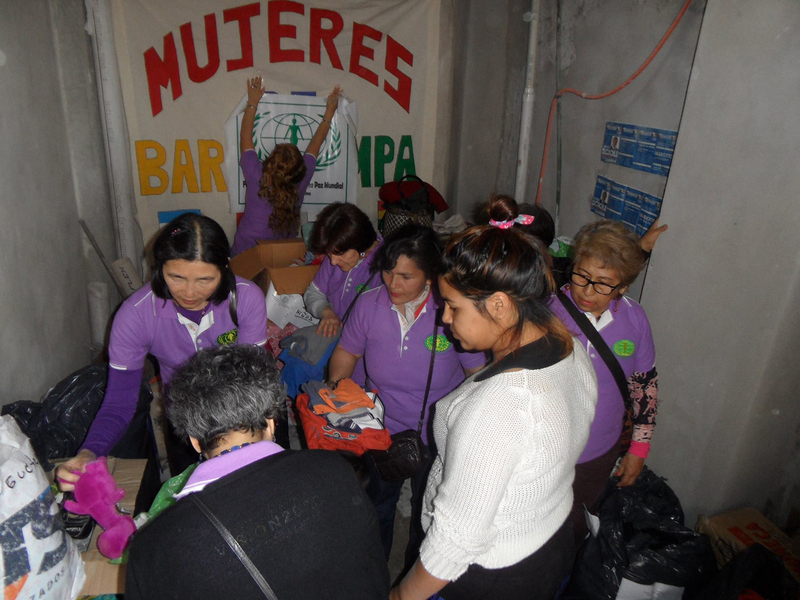 Argentine WFWP: We were collecting different kind of donations during the last two months to offer to a group of women (particularly from Peru, Bolivia and Paraguay) who are working to support the most needed families of immigrants living in the district of la Pampa, Lanus, a small town in Buenos Aires province. 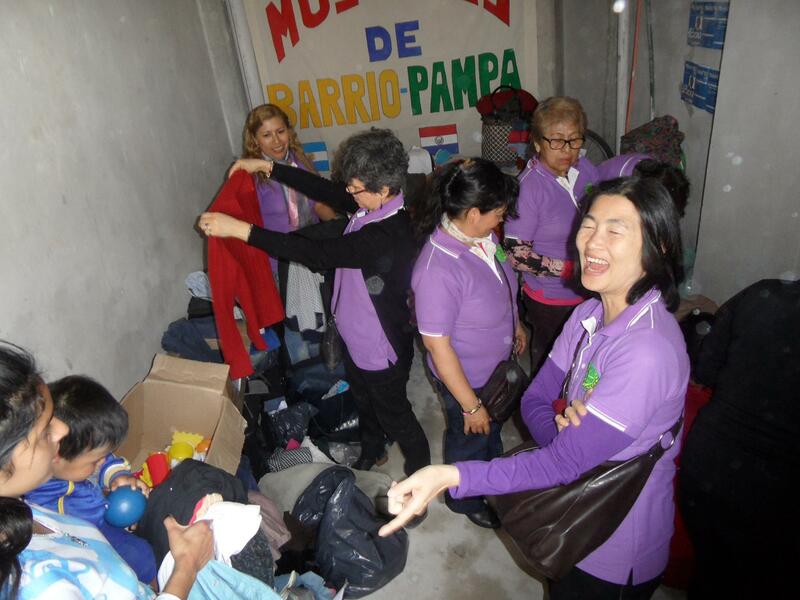 On November 1st, the WFWP team could bring 20 big boxes to the place where many women with children were waiting for the donation – Together with the members of la Pampa Women group, WFWP team distributed clothes , toys and shoes to the people who were gathered there. 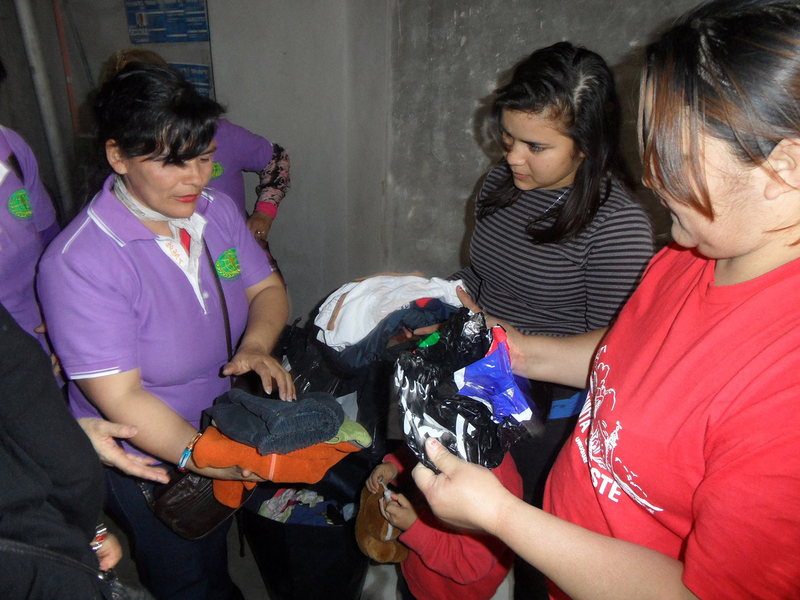 It was a beautiful experience of giving love. 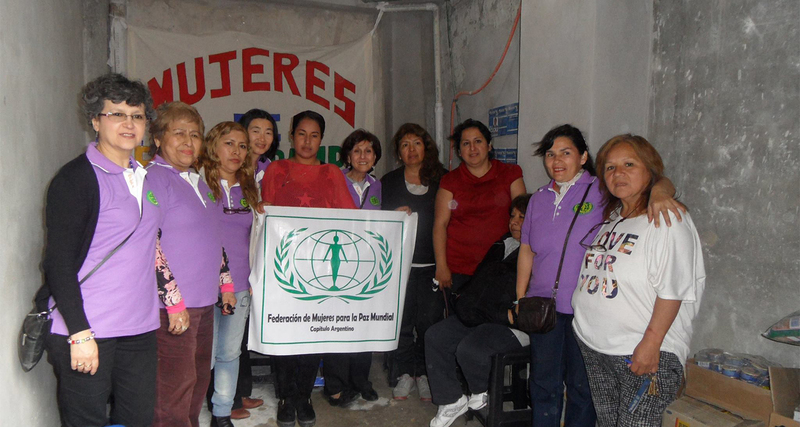 Finally, members of the la Pampa group received a copy of True Father’s autobiography “El Ciudadano Global que ama la Paz” and they all promised to read carefully.